Aquantia said to expect Multi-Gig USB adapters and affordable hardware based on its new controllers. 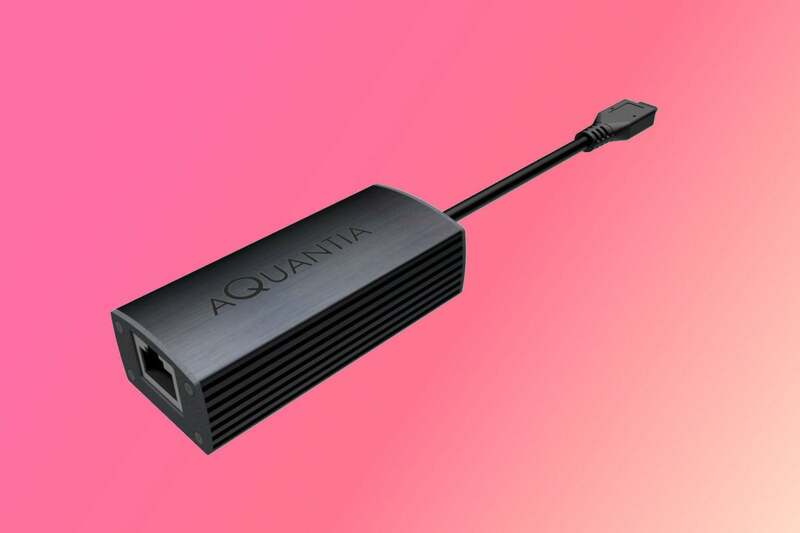 Multi-Gigabit ethernet may finally have a breakout year, if Aquantia has anything to say about it. The networking standard, officially known as IEEE 802.3z, allows for 2.5Gbps and 5Gbps data transfer speeds, between the longtime 1Gbps and 10Gbps. At Computex on Monday night, the company announced two Multi-Gig controllers that can be used in USB 3.1 adapters or laptop docking stations. The company’s AQtion AQC111U supports up to 5Gbps over ethernet, while the AQtion AQC112U will support 2.5Gbps. As for consumer-level products you could actually buy, the first set of USB 3.1 dongles are expected to be based on the AQC111U with 5GbE support. Pricing of the dongles wasn't released, but the company expects them to appear around the fourth quarter of the year. QNAP and Buffalo are both releasing NAS units with 10 GbE. Trendnet will release an 8-port 10 GbE switch. Multi-Gig is a long time coming. It feels like a decade ago that Intel said it expected most consumer desktops to include 10 GbE. The problem has always been the price: Name-brand 10GbE network devices tend to cost several hundred dollars, as do 10GbE switches. Aquantia said it’s expecting five-port GbE switches built on its controller to cost between $150 and $250. The company also said its PCIe card for desktops should be priced well below what you’d pay for comparable cards available today.